The new art museum, Bainbridge Island Museum of Art is pleased to present its sixth rotation of exhibitions since it opened in June 2013. Presenting art that is drawn from the diverse spectrum of art and craft. Bainbridge Island, WA, October 3, 2014	(Newswire.com) - The new art museum, Bainbridge Island Museum of Art (or BIMA – pronounced BEE MA) presents its sixth rotation of exhibitions since it opened in June 2013. Presenting art that is drawn from the diverse spectrum of art and craft produced in the Puget Sound region, BIMA’s Fall Exhibition - Rachel Feferman Retrospective: A Hole in the Heart will be featured in the largest gallery, which is named in her memory, and will open to the public October 11, 2014. 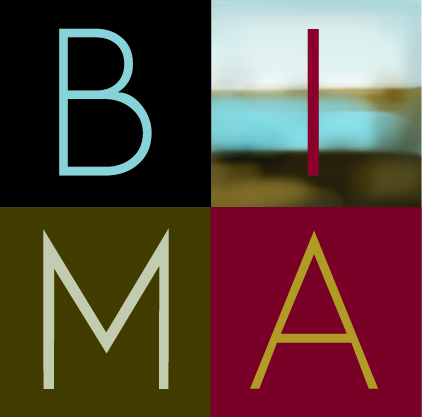 BIMA will offer educational related curator lectures and tours in conjunction with the exhibition. Rachel Feferman’s book, Golden Hands: Drawings and Reflections (2009), is available in the BIMA Store for $55 plus sales tax and shipping. Spanning thirty-five years of artistic creation in a wide range of media and moods, this retrospective illuminates the work of Rachel Feferman, who died of breast cancer in 2010 at the age of 55. The exhibition includes more than twenty large-scale drawings featured in her book Golden Hands as well as earlier work; with this show the viewer now has the opportunity to appreciate the nature of her artistic production as a whole. The retrospective includes textiles, prints, ceramics, puppets, drawings and paintings in gouache and watercolor; throughout, process and technique are a springboard to expression ranging from the light and charming to the dark and disturbing. 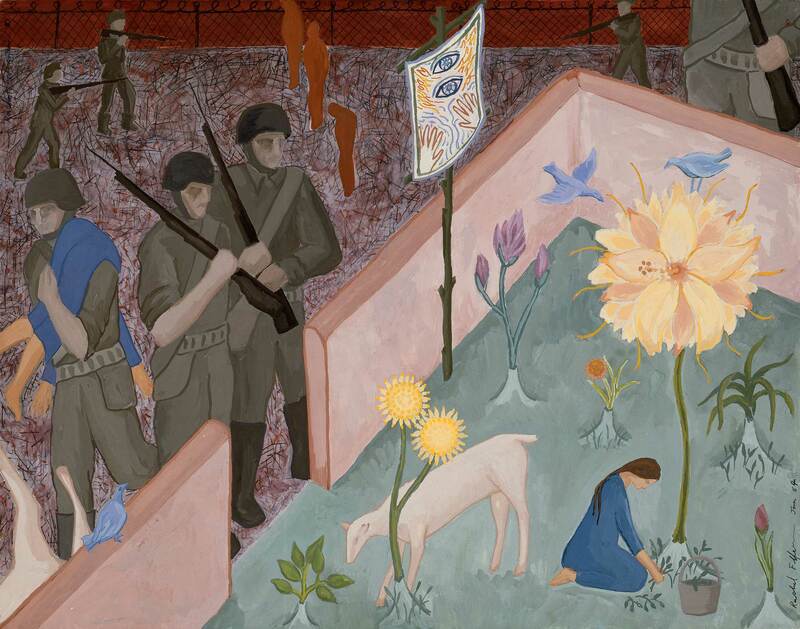 Though largely figurative and narrative, Feferman’s work does not fit easily into any school. She was influenced by Chagall, Matisse, and Cezanne, and later by Dürer, Rembrandt and¾as well¾the outsiders Blake and Kahlo. Her work early and late focused on joyous and whimsical images of animals, plants and humans in harmony. Her feminine perspective and fascination with “women’s work” is often both the medium and the message. In real life, sewing, cooking and the garden were also works of art; the joys she felt about ordinary beautiful things are reflected in greeting cards, bowls, pitchers, teapots and textiles. By contrast, many of her mature works, especially the gouaches and drawings, ruminate on the horrors of war, violence and violation. 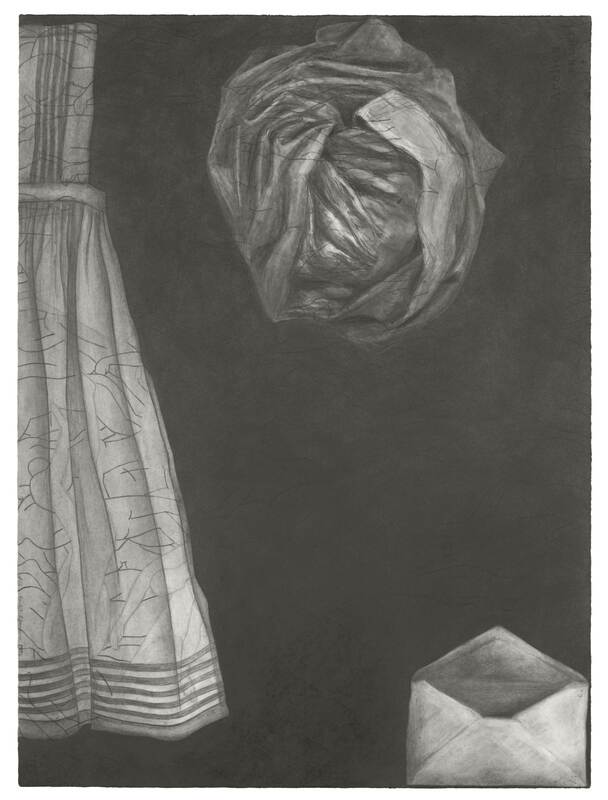 The large-scale pencil and graphite drawings are from a series that Feferman began in the 1990s. She had intended to make one hundred all told but the project was interrupted half way through by her illness. Forty-two of these are reproduced in the book, Golden Hands: Drawings and Reflections (2009). They are inspired by the gift of a beautifully sewn cotton apron that her grandmother, Helen Grand Feferman, made at the age of 14 in pre-World War I Poland; an émigré to the United States following the war, she lived to the age of 100. 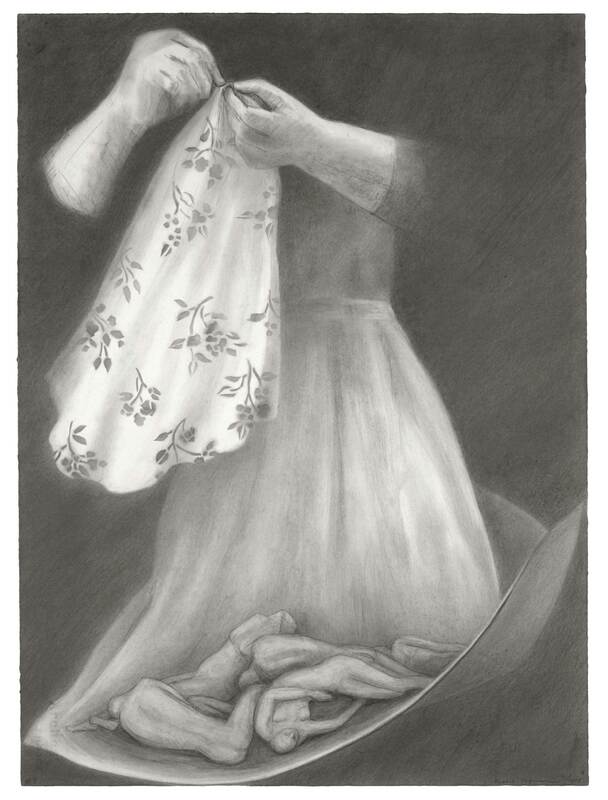 The drawings incorporate frequent references to the apron as well as to symbols of Jewish life and, in the end, to Helen herself, while reminders of the Holocaust form a thrumming undercurrent. Rachel Feferman was born in 1954 in Fort Monmouth NJ, from whence her family soon returned to the San Francisco Bay Area where she grew up, went to school and profited from the stimulating cultural environment. Feferman’s artistic talent was recognized as soon as she could hold a crayon or a paint brush. When she was six she was featured as a “Junior Art Champion” by the San Francisco Chronicle for her picture, “Me and my dog, Yvette.” In 1964-1965, her family lived in Paris and Amsterdam; they spent weekends visiting museums and cathedrals looking at paintings, sculpture, stained glass windows and tapestries. She began to understand that people can spend their whole lives creating beauty and that it was possible for her to choose that kind of life. Later, she studied at the San Francisco Art Institute, Lone Mountain College, and the University of Washington. She settled in Port Townsend, where she lived alone with a dog and a cat in the small home, studio and garden she designed in collaboration with the Northwest architect Russ Chapin. Rachel Feferman’s work has been featured in numerous solo shows, among them at the Cunningham Art Gallery of the University of Washington, Davidson Galleries in Seattle and other galleries in the Pacific Northwest. She was a major award winner in the 1989 Northwest Annual juried by Leon Golub and Nancy Spero and held at Center on Contemporary Art (CoCA) in Seattle. Her work was included in Washington to Washington: Women in the Arts Today at the National Museum of Women in the Arts, Washington, D.C. Her career included teaching art from 1986 through 2006 with a number of organizations including the Washington State Arts Commission Artists-in-Residence program and the Seniors Making Art program begun by Dale Chihuly. She also held private classes in her studio for children and adults; like everything she did these were extremely well organized, focused and fun. Bainbridge Island Museum of Art opened to the public on June 14, 2013, and has since welcomed more than 110,000 visitors ranging from the region and all over the world. Designed by architect Matthew Coates, Principal of Coates Design Architects, the 20,000 square foot art museum is targeted for Leadership in Energy and Environmental Design (LEED) Gold status. We are a collecting museum with a focus on artists and collections from the Kitsap and Olympic Peninsulas, as well as the broader Puget Sound region. Located near the Seattle/Bainbridge Island ferry terminal at the corner of Highway 305 and Winslow Way. Admission to the art museum is free thanks to sponsors and members. The exhibitions rotate three times per year (approx. 12 shows per year). Our offerings include: gallery tours, artist talks, panel discussions, films, print and digital publications and hands-on art activities are featured. Our 95-seat auditorium hosts artist lectures, films, classical films, poetry musical & theatrical performances, and community meetings. Bainbridge Island Museum of Art announces Larry "Ulaaq" Ahvakana: Land/Water from October 11, 2014 - February 22, 2015 at the Jon and Lillian Lovelace Gallery and Beacon Gallery. The 2014 fall line up of exhibitions featuring artists: Larry "Ulaaq" Ahvakana, Rachel Feferman, Karen Hackenburg, Harry Longstreet, Woodleigh Hubbard, Jennifer Mann, Nikki McClure, and Julie Paschkis.